John Boyce has made it his mission to revitalize Gorgas Park. Boyce’s roots in the area run deep. In 1910, his grandfather bought a home on Lyceum Avenue—better known as “the Wall”—in Manayunk. His mother still lives there today. Born in 1958, Boyce has spent his entire life living and working in Roxborough and Manayunk. As a postal worker, he knew the neighborhood and the stories of the people better than most. But he noticed the streets just didn’t seem as safe as they had been. The once-popular community spaces like Gorgas Park—the “Central Park” of Roxborough—had fallen into disrepair and become home to trash, broken bottles and empty drug vials. When many of his peers began a mass exodus to the suburbs, Boyce remained. Boyce knew action needed to be taken so Roxborough could remain the neighborhood he loved. He began cleaning up the trash, pulling out the weeds, and getting involved in the local civic association and development corporation. 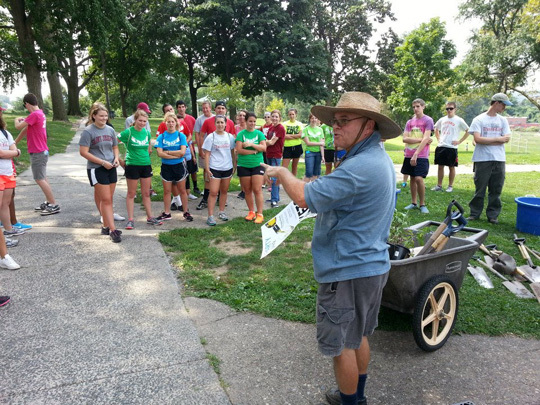 He spearheaded efforts to plant 50 new trees in the park and 80 new trees along Ridge Avenue. In 1997, Boyce and a group of like-minded individuals founded the nonprofit Friends of Gorgas Park. A grant from then-Councilman/now-Mayor Michael Nutter started the ball rolling. Throughout his 20 years of service, Boyce has seen the park re-landscaped; the parkhouse, entryways and World War I Memorial restored; and the playground and Victorian-style gazebo replaced—an estimated $1 million worth of restoration and revitalization. “It’s been a lot of hard work, but it’s been worth it,” Boyce says. “It helps to be plugged in and to be persistent. "I love seeing the park and the community come full circle. It’s reinvigorating to see new faces each year who love this park and this neighborhood as much as I do."